Does anyone have a sound clip of how the gern pipe would sound like with OEM canisters? thanks. Sorry, not high quality audio and plenty of wind noise, but this is all I have. Volume got higher and sound got raspier. Plenty of rasp in the 3-5k range under load. EDIT: Sorry! Forgot to mention this is the STR spec midpipe so it's missing some baffling! Thanks for catching that URGE! Thank you for posting Satoman..
Keep in mind this is an STR pipe which doesnt have as any sound damping in the expansion chamber. We had to use a narrower expansion chamber in order to me STR requirements for the Cat placement and thus no sound packing material. Regular Gernpipe will be a little quieter. Here is a picture of his OEM exhaust welded into the STR gernpipe by his shop. Yikes! Sorry, forgot to mention it was the STR spec pipe! Edited my post above. 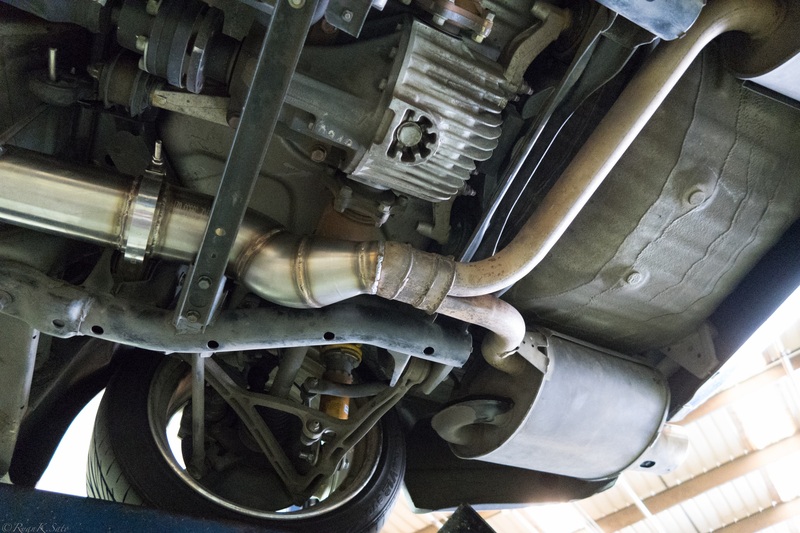 Are there any benefits to be had when the gern pipe is used in conjunction with a turbo setup? That being said, we have had a few customers install on a turbo and one noted a dyno that reduced spool >500 RPM. We have not received the dyno yet, but must assume that this improvement would be with a higher VTEC point as the improved scavenging would reduce intake pressure during cam overlap. Essentially our mid pipe would help turbos below VTEC thus allowing you to keep a higher VTEC. Buying a Mattress - Any Suggestions?